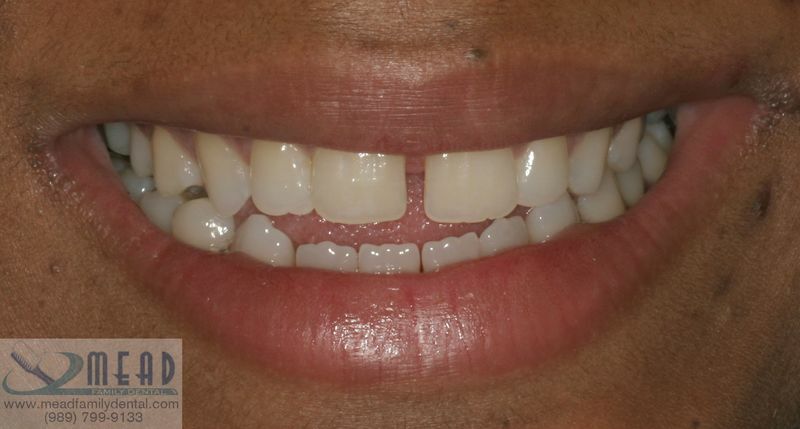 This long time patient wanted to see if we could close the space between her two front teeth before her wedding. 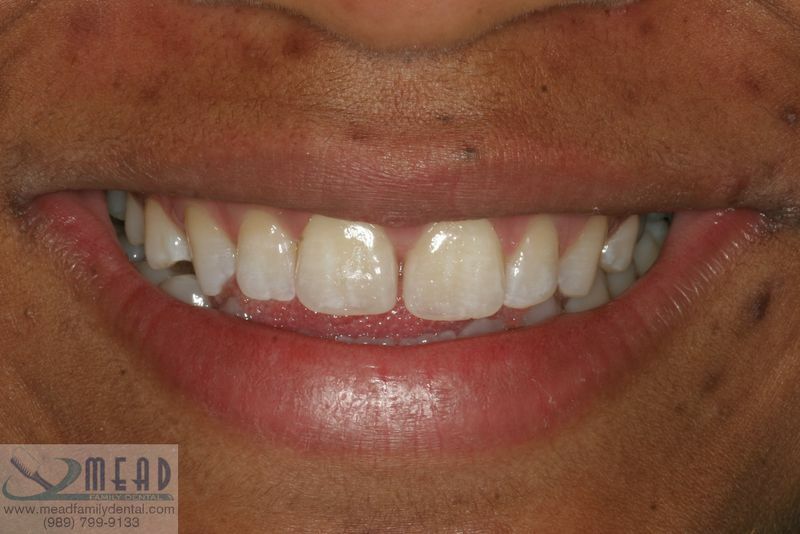 In the past we had talked about placing porcelain veneers to improve her smile. Her request: “Could we just close the gap a little?” So we decided to try something a little simpler and a little bit more conservative. We decided to place a directly bonded tooth colored material. With no tooth structure removed, no numbing and just a few minutes of work we were able to come up with a result like this. Cosmetic dentistry doesn’t have to be painful, expensive or time consuming. With the right materials and know-how sometimes we can achieve a result like this with minimal fuss. Are you interested in fixing your smile? We’d love to help! If you have dental questions feel free to email me at alan@meadfamilydental.com. Better yet, make an appointment for a free cosmetic evaluation by calling (989) 799-9133. We’d love to serve all of your oral health care needs!